Baricitinib and Tofacitinib in Real Life – Does Obesity Impact Response to Janus Kinase Inhibitor Therapy in Rheumatoid Arthritis? Background/Purpose: The influence of obesity on treatment response of tumor necrosis factor inhibitors in patients with rheumatoid arthritis (RA) is described in literature, but data on Janus kinase inhibitors (JAKi) are scarce. We investigated the impact of obesity on the achievement of low disease activity (LDA = DAS28-ESR<3.2) in RA patients treated with JAKi. Methods: In the German prospective longitudinal observational cohort RABBIT (Rheumatoid Arthritis: Observation of biologic therapy) RA patients are enrolled when they start a therapy with biologics, biosimilars, JAKi or new csDMARDs. We used RABBIT data reported between March 2017 and April 2018 of patients who started either baricitinib or tofacitinib. The time of JAKi treatment start was considered as baseline. Patients were stratified according to their BMI into normal weight (<25 mg/m2), overweight (25 – <30 mg/m2) and obese (≥30 mg/m2). Treatment response of patients with a baseline DAS28≥3.2 and available follow-up information within the first 6 months was investigated. Adjusted logistic regression models were applied to analyze the impact of BMI categories on LDA achievement (vs. non-response or stopping JAKi treatment). Results: A total of N=539 patients started a treatment with JAKi; n=355 (66%) received baricitinib and n=184 (34%) tofacitinib. Baseline characteristics stratified by BMI category are given in table 1. Obese patients were not considerably older, but less often female compared to normal weight patients. Despite lower frequency of seropositivity, obese patients presented with higher values for DAS28 and fatigue, and had a worse physical function at baseline. Most of the patients received JAKi in recommended standard dosages. Out of n=217 patients with available information, LDA was reached within the first 6 months of treatment by 42% of patients with normal weight and 41% with overweight, but only by 19% obese patients. Remission rates (DAS28<2.6) were 20%, 24% and 11% in the respective groups. The regression model revealed a high negative impact of obesity on the achievement of LDA compared to normal weight (table 2). A better physical function at baseline and no prior biologic treatment increased the chance for LDA. We did not find an impact of JAKi dosage or mono-/ combination therapy on the response to treatment (data not shown). Conclusion: Obesity but not overweight had a negative impact on the achievement of LDA in RA patients treated with JAKi. Further studies are needed to investigate factors that affect treatment response in obese patients. Disclosure: Y. Meißner, Pfizer, Inc., 8; L. Baganz, None; M. Schneider, None; I. Schwarze, None; M. Feuchtenberger, MSD, 5,AbbVie Inc., 5,Roche, 5,Chugai, 5,Pfizer, Inc., 5,Lilly, 5,UCB, Inc., 5; A. Zink, BMS, Lilly, Pfizer, Roche, UCB, 8; A. Strangfeld, AbbVie, BMS, Lilly, MSD, Pfizer, Roche and UCB, 8. Meißner Y, Baganz L, Schneider M, Schwarze I, Feuchtenberger M, Zink A, Strangfeld A. Baricitinib and Tofacitinib in Real Life – Does Obesity Impact Response to Janus Kinase Inhibitor Therapy in Rheumatoid Arthritis? [abstract]. Arthritis Rheumatol. 2018; 70 (suppl 10). 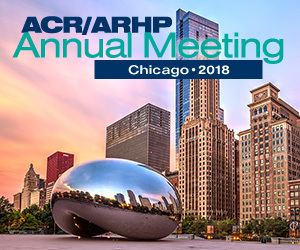 https://acrabstracts.org/abstract/baricitinib-and-tofacitinib-in-real-life-does-obesity-impact-response-to-janus-kinase-inhibitor-therapy-in-rheumatoid-arthritis/. Accessed April 20, 2019.